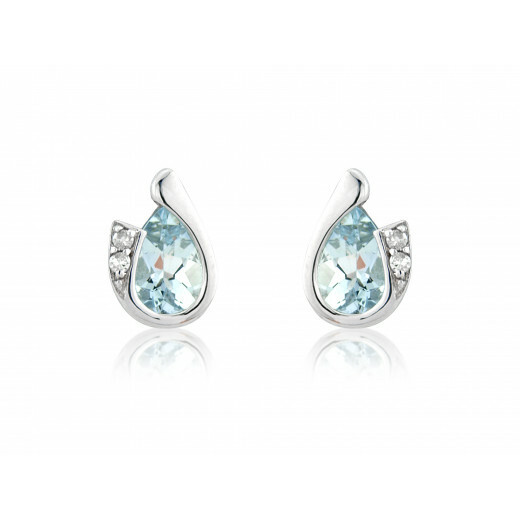 9ct White Gold Diamond and Aquamarine Stud Earrings. 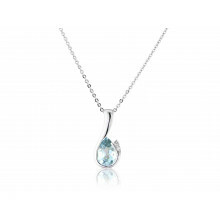 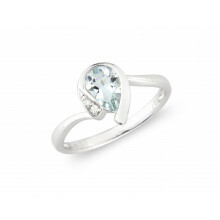 This birthstone for March has two 6x4mm, totalling 0.56ct pear Aquamarines which are wrapped sumptuously by White gold with 2 diamond highlights per pair.The sea blue hues of this stone are very beautiful and can bring courage and clarity to a Pisces lady. 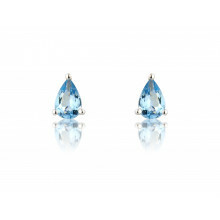 Earrings have post and butterfly fittings.